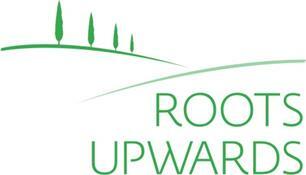 Roots Upwards Ltd - Landscaper , Tree Surgeon based in Brighton, East Sussex. Felling, Crown Thinning/Reduction, Pruning, Hedge Cutting, Planting and Stump Removal, Professional Tree Inspection/Consultation and Report Writing to assess Hazardous and Unsafe Trees. Click here to visit our Tree Surgery website. We are passionate about doing a great job on the design and construction of your new garden. We are committed to protecting the environment and we use sustainable materials in our garden designs wherever possible, including reclaimed or FSC-approved timber sleepers, fencing and decking, and natural stone for patios, paths and steps. All our waste is recycled. Click here to visit our Landscaping website. Design: we see the potential and come up with imaginative solutions that are sensitive to both the complexities of the site and the customer's individual personality and needs, and are happy to provide just a sketch, or a full technical drawing.